Apart from wine tours, we organise other tours in and around Valencia; these can be for a few hours in the city, or day trips outside the city. There is a lot to do in and around Valencia! Tour prices are not fixed, but rather depend on number of participants – the more participants, the cheaper per person. We also do 2-to-5-day City Break packages for individuals and small groups, as well as for travel agents. Of course we can also book your hotel for you (or you do that yourself through Likibu! ), airport shuttle, or organise your lunch / dinner in special places or even restaurants with Michelin Stars, which are still affordable in Valencia! Bike tour in the old centre and to the City of Arts and Science. 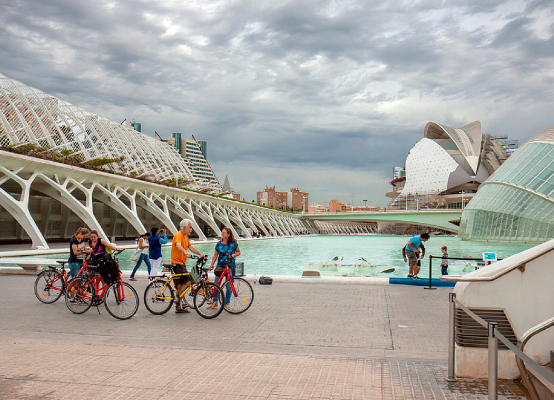 You’ll learn about Valencia’s history by visiting the main historical sites in the old centre; then we’ll cycle through the river park to the modern part of the city, the City of Arts and Science. An additional option is to continue to the port area, to see where the America’s Cup and F1 GP races were held, and to the beach. If you like, you can keep the bike for the rest of the day to cycle around the city. Valencia is flat, so riding a bike is easy, and the best way to see a lot in a short time. 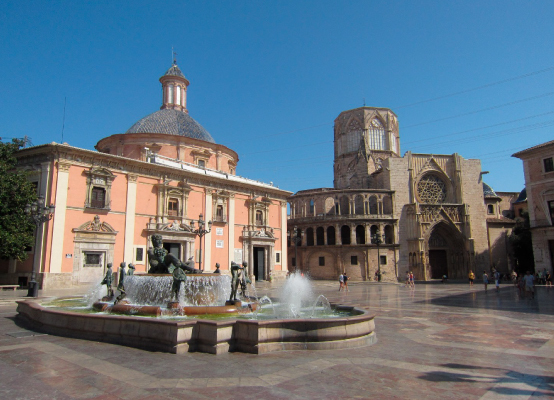 You’ll learn about Valencia’s history by walking through the old city center, seeing the main historical sites. We’ll pass by the Silk Exchange (La Lonja), the cathedral, remnants of the old Arab city, and visit the famous mercado central, the largest fresh produce market in Europe, and a beautiful building. After a few days in the city, you may want to escape and get some fresh air! 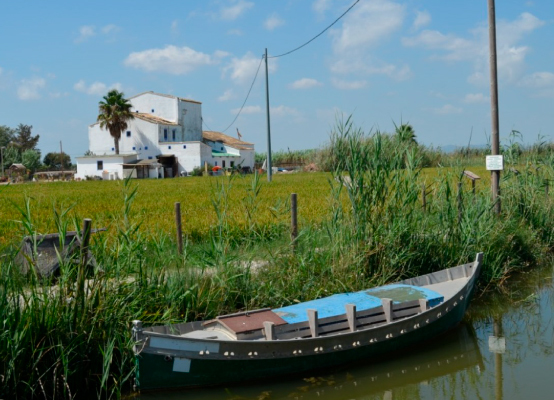 The Albufera Lake lies just south of Valencia, and is surrounded by rice paddies. It’s (with the dunes/forest between the lake and the sea) a protected nature reserve, where you can see many migratory birds. We will first walk through the dune forest from the lake to the sea, while I tell you about the history of the lake and the rice. We will then drive on to the village of El Palmar, right at the lake, where we will walk through the paddies and take a boat to see the lake and birds. There’s always a breeze on the lake, so the boat trip is great when it’s hot. The Albufera rice is grown especially for the paella, and at the lake you can find Valencia’s best paellas! So after the boat trip, there shouldn’t really be any discussion about what to have for lunch… After lunch I’ll drive you back to Valencia, in time for your siesta. If you like Street Art, Fanzara is the place to go! 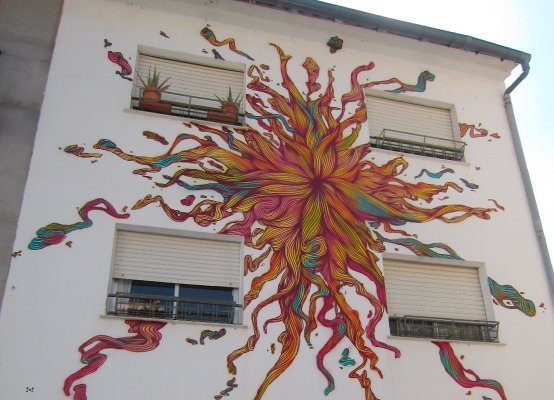 It’s a small village about an hour’s drive from Valencia, where in 2014 two local activists convinced some villagers to have their houses painted by graffiti artists. The local town hall joined the initiative by contributing €2,000; the rest of the costs were covered by the artists themselves, who raised money online and by selling merchandising to visitors at the event. They invited a street artist collective to bring in artists. They expected a few to come but in the end 23 street artists (Spanish and some Italian) came to Fanzara and stayed for four days, making 44 murals. Seeing the painted houses, many other villagers asked them to also paint their house! The village turned into a huge open-air art gallery, nowadays dubbed the MIAU, or Museo Inacabado de Arte Urbano (Unfinished Museum of Urban Art). City tour to see the moderne and avantgardist architecture of Valencia city: the modern building designed by famous architects like David Chipperfield, Norman Foster en Santiago Calatrava, as well as a few beautiful examples of Valencian Jugendstil architecture. 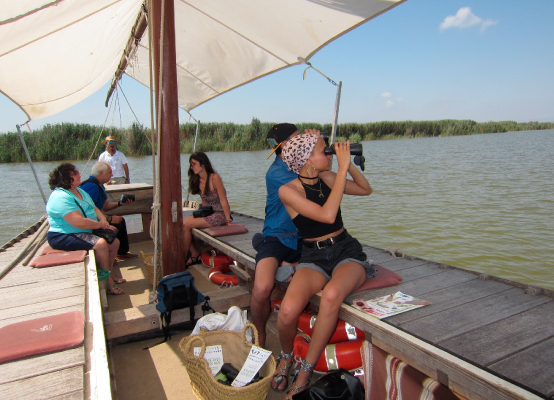 Birdwatching around the Albufera lake, where you can find some very special species, not seen anywhere else. Of course, paella lunch wil be included! Grafitti / Street Art tour in the centre of Valencia (also in French or Portuguese). Learn to make some typical Spanish tapas, including the famous ‘tortilla de patatas’. A visit to the historic village of Requena (45 minutes by car), including a visit to the 9th century caves, a good lunch, and a visit to a Cava winery with cava tasting. and all other ideas you may have!! The Plaza de la Virgen, next to the cathedral and basilica. The City of Arts and Science, easy to do on a bike. 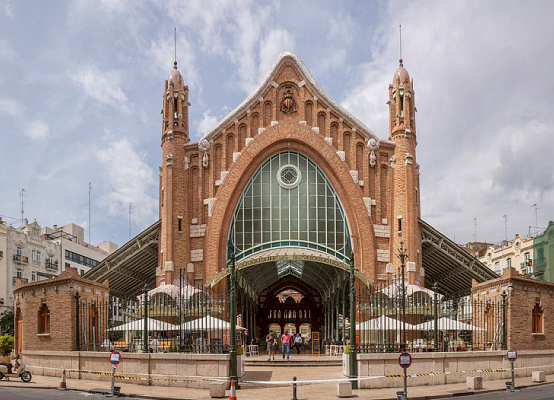 The beautiful Mercado de Colón in Valencia. The rice fields at the Albufera Lake, Valencia. A day trip to the Albufera Lake (Valencia). Street art in Fanzara, near Valencia. If you’d like to know more about our tours, send us a message; we’ll give you all the information you need, options, possibilities, suggestions, and prices.